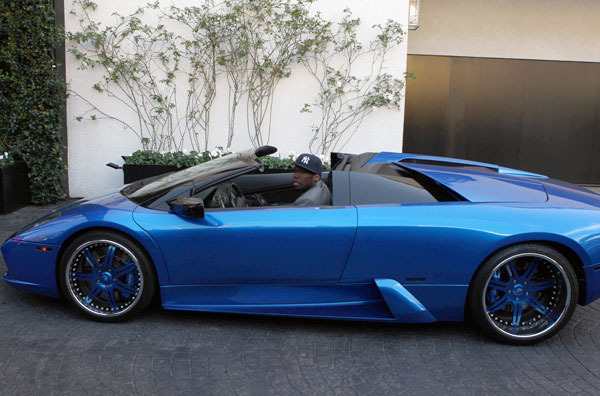 Okay we all remember Ciara stunting in her blue lambo that fifty bought her for her bday. 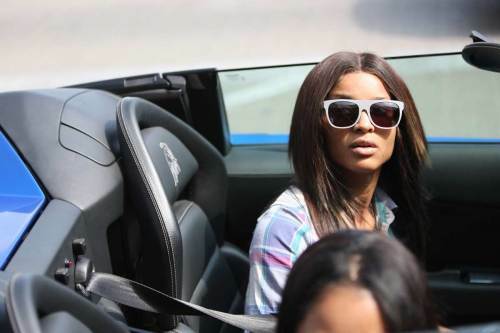 Just to refresh memories, Ciara used to date Fifty and is now dating Amare Stoudemire from the New York Knicks and just moved in with him right. So how about Fifty been a South Jamaica N***A took his ish back and I aint mad at him either, if you want to move on go ahead but not in my ish. picture that. Was he right or wrong for this let me know what you think. Fifty seen riding around Los Angeles this weekend in HIS Lambo.